IPT Performance brings you the industry’s finest high performance transmissions. Our state of the art package of modifications produce the strongest and most reliable gearbox available anywhere. At IPT we address the inherent weaknesses and engineering flaws that are present in all factory designed transmissions through the utilization of various metallurgical treatments, valve body and pump modifications/porting, the utilization of upgraded friction material and the increase in capacity of transmission multi-disk clutch packs and bands. (Please contact us for details specific to your application). The end result is a transmission that provides you with worry free operation under the additional stress that is associated with any high performance application. 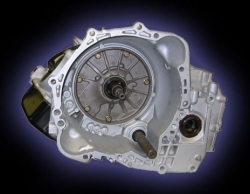 Please call or email us to order complete transmissions.